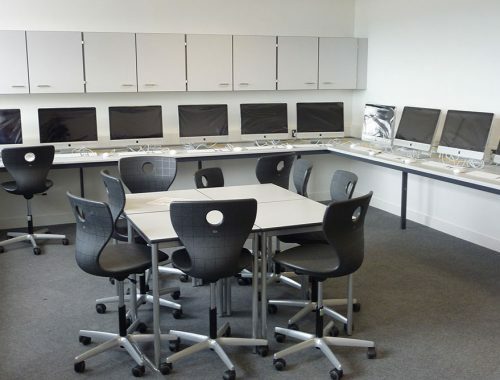 Klick Technology specialises in the provision of teaching walls for schools. 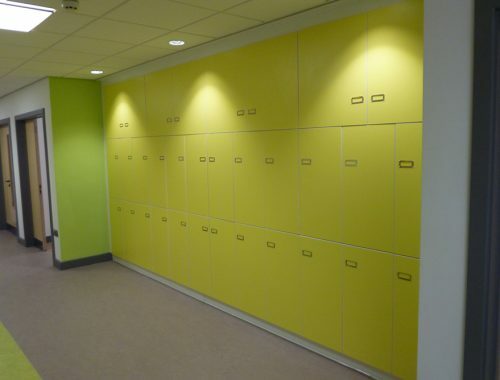 We provide creative storage solutions which offer flexibility and maximise space. 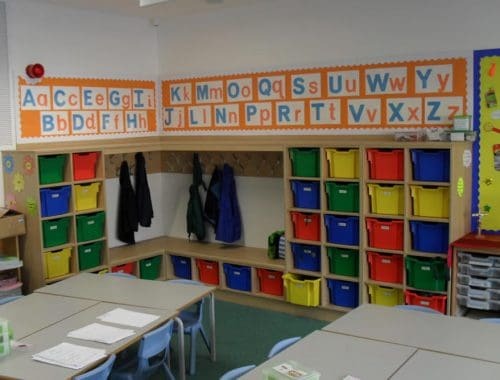 We can design & supply bespoke teacher walls which make good use of under utilised space at the front of the classroom. 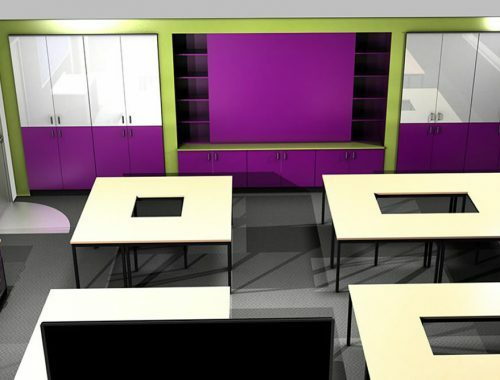 These modular units can feature tray or cupboard storage, shelving, interactive whiteboards, pinboards or standard whiteboards to create a flexible resource. We can incorporate charging bays for laptops/tablets and conceal any cables within the design. If you have awkward spaces, maybe boxed in pipes or obstructions along a wall, our designers can develop a specific design to incorporate your odd room shape – we love a tricky storage issue! We can also provide bag storage areas, featuring coat hooks and tray storage if required. These are ideal to de-clutter classrooms creating a more spacious environment for practical activities. 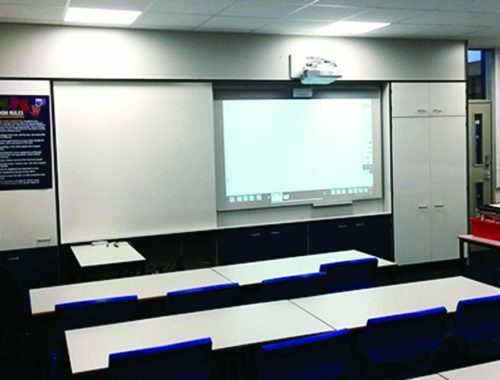 Our experience of over 35 years in the education sector means that we can translate your brief and transform your space. 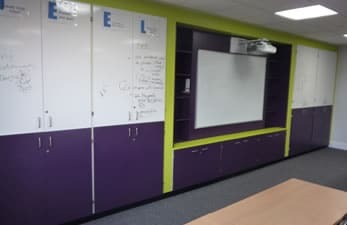 We were impressed with Klick’s functional teacher’s storage wall design which has greatly enhanced our new classroom block. The spacious storage area behind the white board cupboard doors conceals equipment and materials leaving the rest of the rooms clutter free. There is ample shelving for books on either side of the central whiteboard. Klick sourced special colours to match our existing scheme to complete a truly bespoke installation. Browse our latest Teaching Wall Case Studies using the arrows below or click to view all case studies. Need ideas on storage options?